W3C's vision for "One Web" brings together thousands of dedicated technologists representing more than 440 member organizations and dozens of industry sectors. 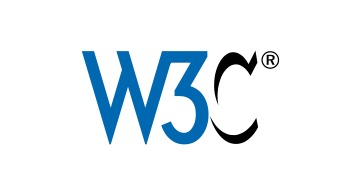 The mission of the World Wide Web Consortium (W3C) is to lead the Web to its full potential by creating technical standards and guidelines to ensure that the Web remains open, accessible, and interoperable for everyone around the globe. W3C standards HTML5 and CSS are the foundational technologies upon which all Web sites are built. For its work to make online videos more accessible with captions and subtitles, W3C received a 2016 Emmy Award.